Fresh and fruity.... La Vieille Ferme Luberon rosé has all the characteristics of an attractive rosé. If you like easy drinking rosé wines, this one is perfectly suiting aperitifs and simple cookery. Located largely in the regional park of the Luberon, on equal distance from Avignon, Aix-en-Provence and Manosque. The average altitude of the vineyard is at 300 meters. Late maturity zone. Ancient alluvial deposits with flat and round pebbles, limestone marl, some areas called Collets du Luberon, meaning rocky zones close to clay, results of alpine diluvium flows. Wine elaborated by Saignée method. Vinification in stainless steel tanks until January, the wine is then bottled after fining. The fragrant nose reveals hints of red fruit and cherries. Lively and long in the mouth, it is very aromatic with great acidity that brings freshness. 10-12°C on hors-d'oeuvres, cold buffets, tomato salads, grilled meat, ... and other summer lunches. "You see that bottle of rosé to the middle left? Yep, that’s La Vielle Ferme. It’s a pale pink easy-to-drink rosé that’s fresh and fruity. It’s made by the producers of the higher-end Château de Beaucastel and Miraval in the Southern Rhône Valley of France. 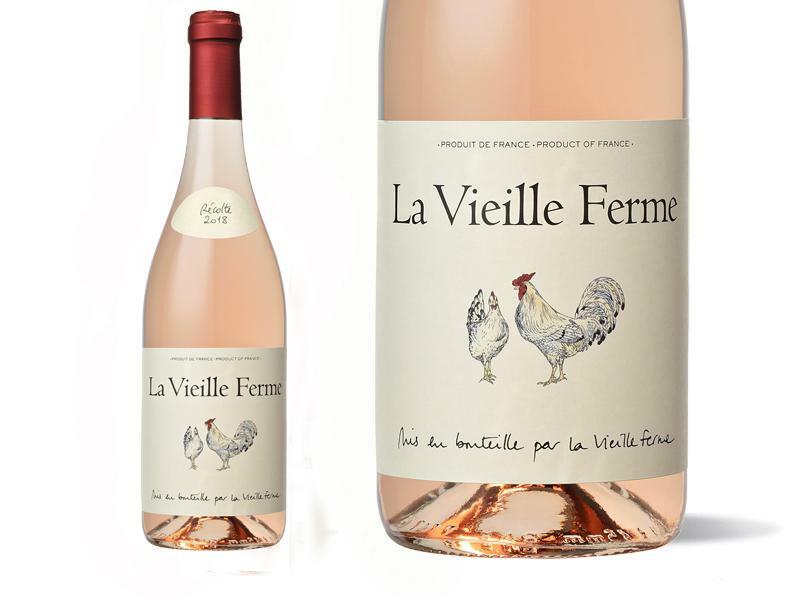 La Vielle Ferme is regarded as one of the best wine values, and it’s great with appetizers, salads, grilled meats and basically anything you’d eat in the summer."